2,386 to 3,212 Sq. 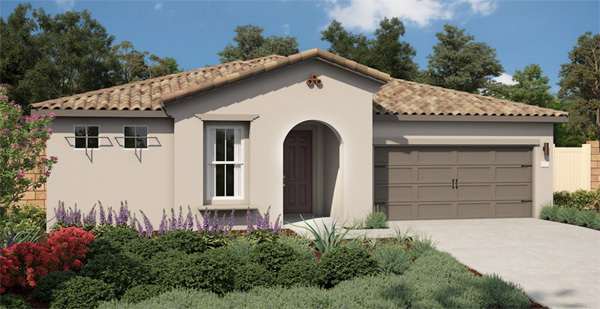 Ft.
New homes in Fallbrook near Pala Mesa Resort and Golf Course. Single-story and two-story new homes on large lots. These new homes range in size from 2,386 to 3,212 square feet with 3 to 4 bedrooms and 2.5 to 3 bathrooms. Homes will have 2-car garages and 3-car tandem garages. The location near the Pala Mesa Resort and Goff Course will be ideal for easy access to Interstate 15 and Highway 76. Highway 76, which has been under construction for the past few years anticipate substantial completion in 2017 with 4 lanes open. With the improvements planned for the area at the 76 & I-15 junction will make this a convenient choice for affordable living.